The MOE also said there are currently no plans to adjust school fees for Singapore citizens. Singaporeans pay no school fees in primary school, but pay S$5 and S$6 monthly in secondary school and pre-university, respectively. 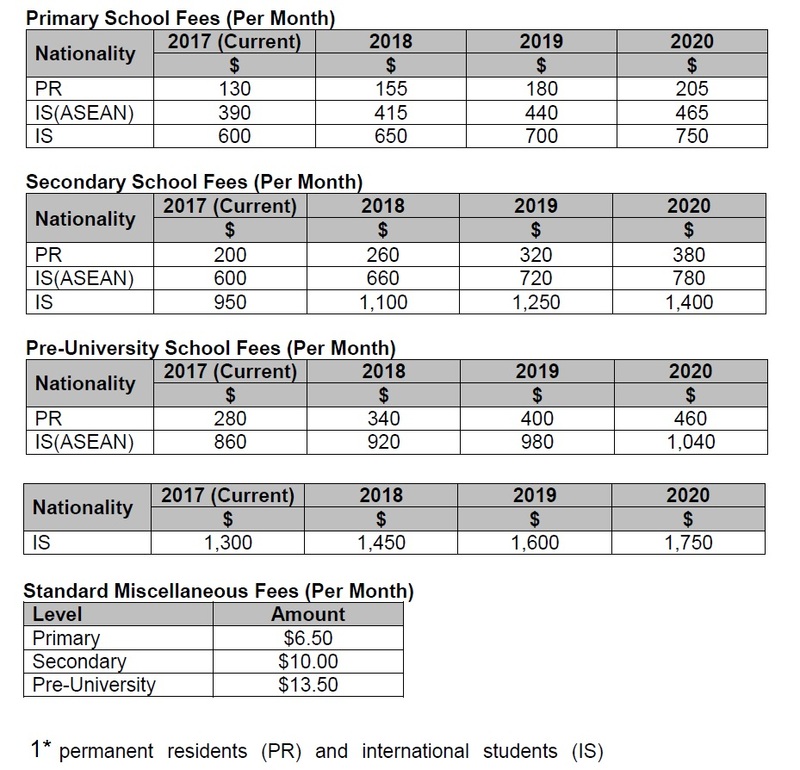 For some non-citizen parents who send their children to public schools, the higher school fees will be financially taxing, but most also noted that while the gap was narrowing, school fees international schools charge are still much higher — these range from around S$20,000 to S$35,000 a year. For instance, Dover Court International School Singapore charges S$25,200 annually – or S$2,100 monthly – for upper primary students, whereas the Australian International School charges S$33,646 annually – or S$2,804 monthly – for elementary school students. TODAY had also reported that figures from the Immigration & Checkpoints Authority (ICA) show as of end-August, there were about 76,000 international students on Student’s Pass who are enrolled in private and government-run schools and institutions, including the polytechnics and universities in Singapore. In 2008, the number stood at close to 100,000, previous reports stated. The ICA issues the Student’s Pass for foreigners applying to study here. Asked previously whether the ministry had turned away more applicants in the last few years and about the intake of foreign students, MOE would only say international students form about 5 per cent of the total student population in the last few years. This entry was posted on October 18, 2017 at 3:01 pm and is filed under Singapore. You can follow any responses to this entry through the RSS 2.0 feed. You can leave a response, or trackback from your own site.